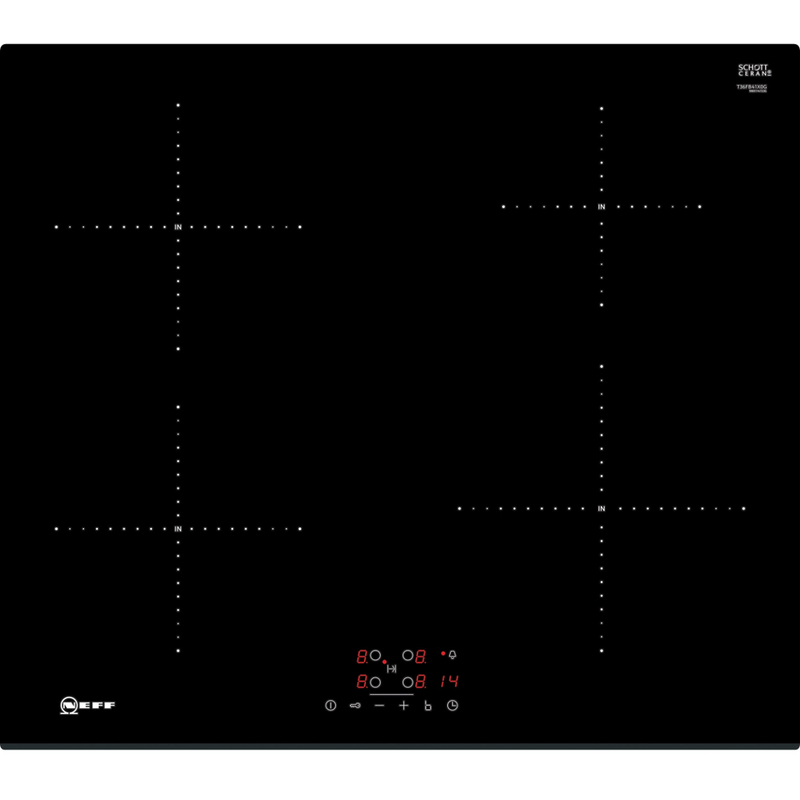 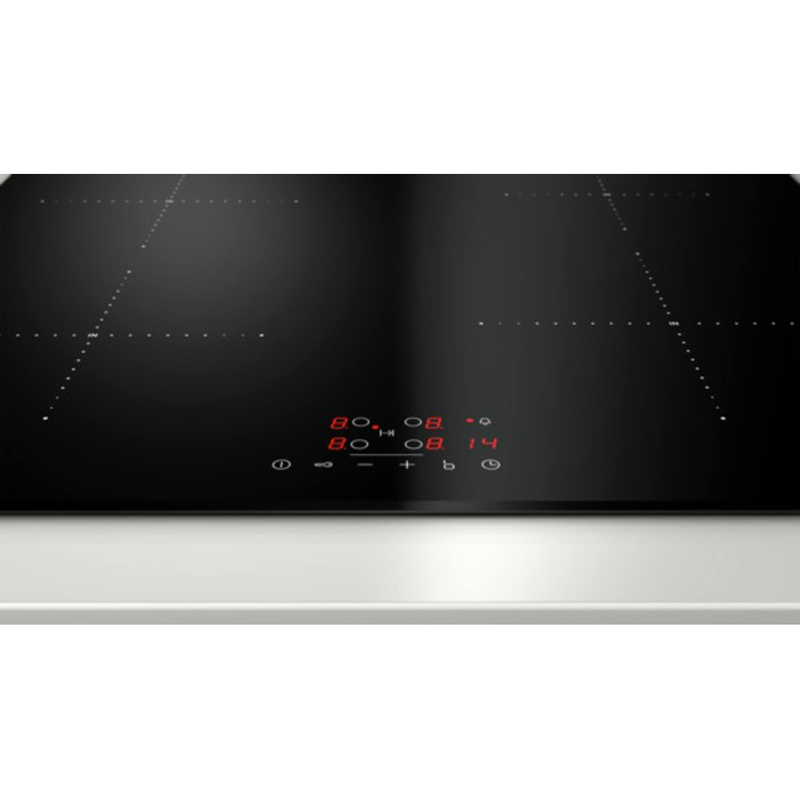 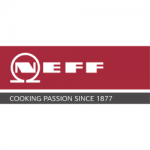 This NEFF induction hob is made from sleek black ceramic glass, so it looks great in any modern kitchen. 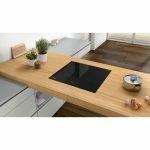 It’s a built-in model and can be installed easily on your work surfaces, coming with a 13 amp plug for a 13 amp power supply. At the front of the induction hob you’ll find easy-to-use touch controls, while 17 stage power settings let you fine-tune different temperatures. 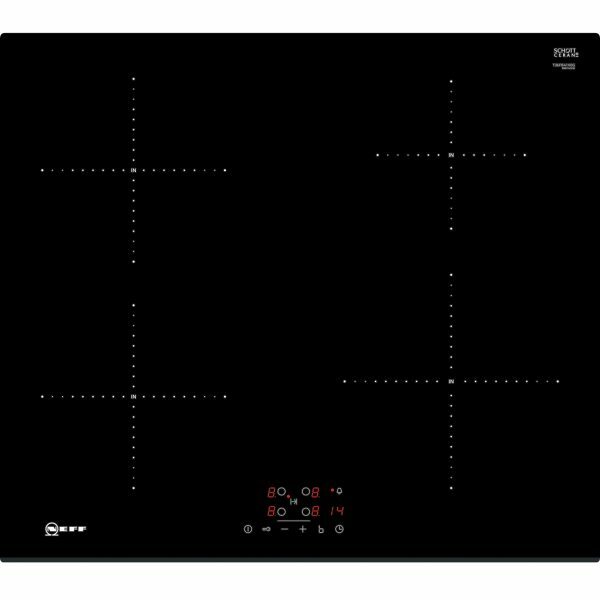 These run from 1-9 in increments of 0.5 with an additional power boost setting.